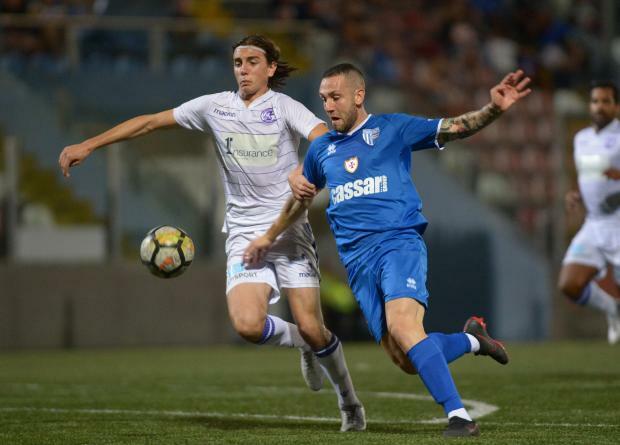 Tarxien Rainbows provided the right response following last week's defeat to Gzira United when they brushed aside St Andrews at the Tedesco Stadium. The Rainbows took 13 minutes to forge ahead when Michele Paolucci beat the St Andrews offside trap and quickly squared the ball into the path of Daren Falzon whostabbed the ball into an empty net. The Saints were stunned and they tried to regroup in a bid to get back into the match but for all their efforts they struggled to break down a solid Tarxien defence. Instead it was Tarxien who added a second goal on 22 minutes. Paolucci was again the provider as the Italian picked Aquilina on the edge of the area and the young midfielder hit firm shot that had the better of St Andrews goalkeeper Matthew Calleja Cremona. On the stroke of half-time Martin Davis picked up a short clearance but his firm drive was deflected just over the Tarxien goal. The Rainbows all but sealed the points five minutes into the second half. Alexander Nilsson, who had replaced Matthew Brincat, fed Paolucci and the Italian striker turned past his marker before hitting past Calleja Cremona. St Andrews pulled a goal on 62 minutes when Kevaughn Atkinson pulled the ball back into the path Alexander Satariano who hit the ball past a diving Andrea Cassar. But 12 minutes from time Ricardo Faria was upended inside the area by Calleja Cremona and from the resultant penalty the Brazilian made no mistake. In stoppage time, Faria was at it again when he ran to meet Nilsson's through pass and slid the ball past Calleja Cremona.